I promised myself when I started this to just be myself and write whatever and wherever I am carried, that this would never be about attracting business that it would be about giving what is in my heart and playing, about sharing my vision and about bragging it goes without saying but never about pitching. And that’s been easy til I started feeling sad… I’m a day late and feeling a pound short if that is how the saying goes… And hope you will forgive me. I remain committed it’s just that I’m in a heavy place and needed to remind myself that this is Where the HEART is, and I need to just let you know that mine is sore. When I was telling him I’m concerned that I am not giving my best, or rather that I am but not the best place for my talents to make a difference, the place where they can do the most good. He was like, I just wanna build things that last 200 years and be with my family. And you know it makes sense, he has this awesome family it’s mine too cause he’s my brother and shares it with me, well. And there is a nobility in it, build to last and take care of what is close to home, Confucius would get that, taught that even I am pretty sure. And Buzzy teaches too, he’s one of my biggest inspirations as an educator. It doesn’t come naturally to me. Buzzy’s a natural, he loves to grow things and has the green everything. He’s always cultivating us just like his plants. He orchestrated an enchanting moon garden with all sorts of flowers that kind of glow in the moon light. I still have dreams about it., it was like all the flowers were having illicit love affairs that were somehow so pure in their clandestine meetings. This all makes sense, his life does. I’m not having a crisis of his faith. Just my own and by faith I mean choices. I have trained all my life, it’s all been about enlightenment for me since I can remember that’s whats always been going on with me. I don’t know why. All I’ve ever longed for is to climb the mountain, well not all, I wanted the man, the children, but what I wanted more was the mountain and thats what I choose mostly. I’m not talking about morality or religion neither interest me cause both are so far from what is true and by true I just mean… what do I mean… what is. For me what is or has been always is the mountain. and it’s rare. We are each rare, and we each have precious gifts to share. What concerns me is that if all my energy or most of it, and I’m a crazy effective person. Loopy, and nothing linear and still so effective. What concerns me is how much time I spend picking out toilets. It makes me crazy every time cause on principal I feel it’s beneath me, there it is. And on top of that Buzzy says we shouldn’t be shitting in water to begin with which is true, there are better ways and the stupid building code and well everything, partly why China’s soil lasted 4000 years is cause they fertilized with human waste and here I am spending my training and talents on picking out something that is intrinsically stupid. I don’t feel that cleaning toilets is beneath me. There’s an intrinsic value in that and instant gratification which I love and it pleases people, it’s always appreciated. I’m not a toilet snob. But I kinda must be cause I can’t leave it alone, cause what if they pick the wrong toilet? That would make me even more nuts. So I get involved every time. And I wonder if a person of my level of insight, sensitivity and compassion is engaged in picking out the perfect throne who’s gonna save the world? I hope you will indulge me and not find this too arrogant. I know I couldn’t anyways and so many have sacrificed and given and continue to give so much. I am in awe of them and in a place where I wonder what more I can give. Lately it’s been so busy and there has been less time for volunteer work and writing and meditation, though I could make time and haven’t. I’ve been falling asleep watching friends dvd’s cause I just want to have something thats easy. And it’s ok. I’m not mad at myself, it’s ok. I’m still in shock over my sister’s death and my teacher who I have loved for lifetimes is ill and I hear so little about what is going on in the world, cause the radio and newspapers are incapacitating for me, I just can’t function with that level of consciousness but I know of suffering and there is so much of it in the world. I’m not planning to move to the Himalayas and shave my head, I kinda did that already. I know my path is to find harmony in my world and this is my life’s thesis. The mountains are inside of me as my teacher so gently reminds me sometimes. I miss them though, I ache for them and may go visit Buzzy in Vermont next month cause its always so soothing to feel them and experience them on the horizon, right away I gear down. It’s not an accident that he lives there. I don’t think there are a lot of accidents or I didn’t use to now I am not so sure only that it’s not my business. My business is reflecting on where and how I can make the greatest contribution. How I can use my talents and voice to help to bring positive change in our world. I’m thinking about product design so I can realize a cradle to cradle vision that rests in my heart. I’m thinking more time with children encouraging them and helping them realize their brilliance and gifts, I am thinking getting back to working on my film, I love it and it’s so hard, such a steep learning curve and takes so much courage. I always think who am I to … and my teacher would say, “if not you lulu who?” I need to get back to it. And I am thinking to continue taking really good care of my clients with a vision to caring for our communities and providing for myself so that I might give more. I love making things, making homes, creating beauty and playing with innovative inspiring designs, I just wonder sometimes if it’s the most I can give. It’s easy for me to love things, I could love doing something else even more maybe and make even more of a difference… someone brilliant said the unexamined life is not worth living didn’t they, I think it is if one is truly in the moment, in what is, and since I am not though I aspire to be, I will continue to reflect and trust. Thank you for indulging me if you made it this far. I’d love to hear how you reconcile your world with your actions if you might like to share it with us. I could use the inspiration, and imagine we all could. p.s. I share with you a note from a new friend who lives in Malawi. How it humbles me and I can’t help but feel some shame. He told me in his village they might not eat for a few days but since they know they will again, they remain cheerful. This was while a guest at the dinner party was telling of a relative who had spent over $100,000.00 on landscaping and a pool while we are visiting in a beautiful house, the one on my blog with the great stairs and porch of the year…. How do we reconcile this? How do I? How are you and your niece and nephew? I hope that you can still remember me, I am your friend from Malawi, who was being hosted at the house you designed and built. I am finally back home and experiencing the warm weather coupled with some rains. Since I had the discussions with you the few times you came around, I have been thinking and reflecting on several issues regarding the joys and sorrows of life as well as the divide between continents. Honestly, I felt challenged by your attitude towards life and strong urge towards kindness. I also observed that the way your raised your ‘kids’ was so different in that, despite the highly developed society you are in, the emphasis on what is important and the values was so striking. How is the design business doing? I was glad to learn that things keep on improving and that you are able to appreciate the change. I know that not many people would come out openly about their past challenges and be able to gain lessons as well as rejoicing in the progress. I would be interested to take up any discussions with you on issues you are passionate about. A friend cheered me up by telling me about this particular toilet, and its a very cool one, I didn’t mind thinking about it hardly at all ! I, too, find it hard to reconcile gaps between my work and my values. There is something difficult about spending 8 hours a day doing something that doesn’t fulfill you completely. It would be a much happier world if we all closed the gap. At the end of the day, I have a wonderful nest to live in that allows me to cherish life’s most precious moments. To welcome good friends and family, and to grow my own family. A place to feel at peace. A place where I have planted roots. This means the world to me. It makes me question 2 things? …What is better, to make a big difference for a handful of people, or or a smaller widespread difference? …Perhaps what you can bring to this world that will make the greatest difference is not a product or home, but the wisdom, love and kindness that you share with people, like your friend from Malawi? This changes lives. Thank you for making my cosy nest. Thanks Gillian, you always have my back. I feel there is value in this for sure and maybe I will get into toilet design. Our friend in Malawi shared this with me today and it’s comforting too. Its always exciting to hear from you as it reminds me of a rare chance of interacting with people that i regard highly. And the blog- a fantastic sight. I liked your idea of speaking your mind out, free flowing and questions that should strike everyone. 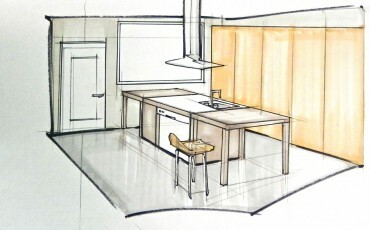 Further, i like the kitchen design with a sink on the table_ its really beautiful. But can the wood table withstand water without rotting? Anyway i ve no problems with including my note, it adds context and value to concerns. My wish is that your business should grow so that you make impact in this world. Hope your humane will then flow to us here. This is an interesting issue, and one that most people never bother to seriously think about. I think that’s probably because whenever you dare to even broach the thought in public, it is almost always met with immediate derision and usually some platitude to the effect of “we all have to do our part.” Unfortunately, the way things are set up, it is hard sometimes to believe that all our efforts are making a positive impact on anything but our own accumulation of wealth and comfort. Like both of you, I often struggle with this disconnect between what I do and what I believe. How can I be an entrepreneur, and yet still believe that there is something fundamentally wrong with the system that allows me to be one? Mostly, I think it’s inherent selfishness at the root, if I’m going to be honest, because it is a heck of a lot easier to ignore a world and an economic system that does nothing but breed inequality when you yourself have won the geographic lottery and find yourself on the better side of that coin…. And at the same time, it is even more discouraging to think that EVEN if you could devise the absolute perfect replacement to the current capitalist system (and it wouldn’t be difficult in my opinion), you would still have zero chance of convincing the world to change their ways, simply because those with the most power would have the most to lose! So then if broad-scale social change is basically impossible… why work toward anything but comfort for ourselves and our families? it’s possible Daniel, we just have to show how with each step we take and trust the the rungs will be lain before our feet land as we cross the abyss.